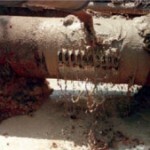 Fast Fix Flowable Fill saves you time and money. 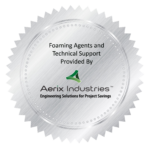 Fast Fix Flowable Fill (4F) is a “Controlled Low Strength” backfill material that is a blend of proprietary cementitious materials, sand and water mixed to a flowable consistency. As a self-leveling material, 4F can be placed with minimal effort, requiring no tamping or compaction. Unlike conventional flowable fill, 4F sets in approximately 20 minutes and can be capped with concrete or asphalt pavement in 45 to 60 minutes. 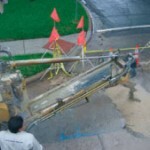 4F does not require compaction equipment, labor or compaction testing, saving you money. The cost of backfill is reduced, and there is minimal settling. 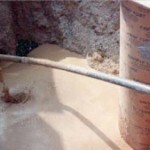 Fast Fix Flowable Fill can be poured in any weather and is easily removed if necessary.